This month's collection of books, probably more than any previous month, gives you a look at Jessica's Favorite Kind of Book. The books I can't get enough of are nonfiction books, typically with a one-word title plus subtitle, that cover a specific topic through some combination of history and psychological research studies. I love learning, but I know that understanding any topic well requires digging into it and considering it from multiple angles, and I appreciate writers who can do that in an accessible way, using examples and extended metaphors to make complex topics more approachable. 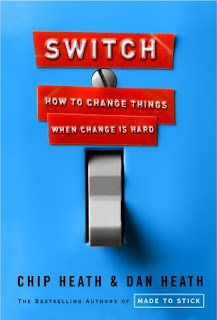 One of the topics that particularly interests me is how we can help ourselves (or other people) change for the better. Sometimes it's hard to know what the best course of action really is, but as the first book here explains, there are a lot of cases where it's fairly clear-cut. For example, many people want to eat healthier, quit smoking, save more money, and other "New Year's resolution" type goals, but struggle with following through. What these books explore is whether there are small changes you can make to help yourself or someone else be more likely to achieve these positive outcomes. These authors direct most of their suggestions to the government, arguing for something called "libertarian paternalism" (guiding people toward the things best for them while still leaving freedom of choice), but I think it became a New York Times bestseller for its applicability to everyday life. While the latter half of the book contains some rather dry case studies, the first half is invaluable for providing a crash course on the research to date about influence. They explain things like why default options matter, when social norms affect people and when they don't, and what else might be affecting your day-to-day actions without your even realizing it. You'll get tips for helping your rational side trick your emotional side into accomplishing what you want, like signing up to start automatically saving money in the future (no big deal)... instead of today (ouch). 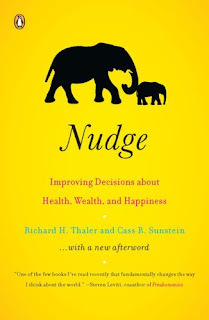 This book spends less time than Nudge giving a background on why their suggestions work so well, but the authors provide a lot of very specific tips supported by multiple interesting and memorable stories of when these tips have worked. Suggestions like "Find the Bright Spots" and "Script the Critical Moves" have helped me with everything from improving our student course evaluation response rate to designing an exercise plan I would actually follow. When planning things with people who are less detail-oriented than I am, I sometimes reference the 1% milk story from this book: It's far more effective to tell people to buy 1% milk (instead of 2% or whole) than to tell them to "eat healthier." I'll bet that after reading this book, you'll be looking for areas of your life in which to try out some of the nine main suggestions the authors provide. This book, more than the others, focuses on getting other people to act in a certain way; specifically, motivating employees to be productive and efficient. 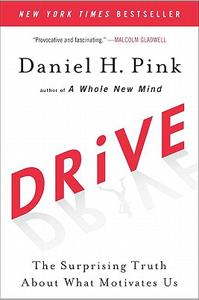 Pink's argument is that while we normally think about getting people to do things by using incentives -- external rewards -- this is the best approach only in a very limited set of circumstances. Most of the time, you can get better results and have happier employees by providing them with the opportunity to be intrinsically motivated to do a good job: Giving them autonomy over their work, a chance for mastery/learning, and a feeling of being part of a bigger purpose. (Perhaps the same is true for children?) As someone who's not a manager, what I liked most about Drive was the guidance of the specific things to look for, or ask for, to make sure my job is as enjoyable and satisfying as possible. What books have you read that have helped you to better understand how to make the changes you want to make in your life? Hi, just recently found your blog and really enjoy it. 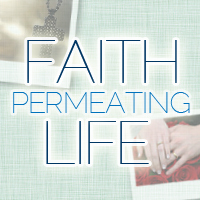 Thanks so much for linking up with your own recommendations! The Happiness Hypothesis in particular sounds just like the kind of book I enjoy. Thanks!